By definition frustration means: The feeling of being upset or annoyed, especially because of inability to change or achieve something. Lets come to reality here, door to door sales could be very frustrating at times. I want to talk about 2 separate time frames in this blog post. 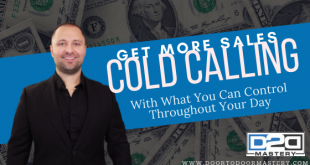 My recipe for success in door to door sales consists of a numerous of teachings that all base themselves around the first step of setting up your goals. How many sales have you committed to getting each day ? Coming up with this number should be as real as your need to breath. When i started knocking on doors i made a commitment to myself to get 1 sale every single day no matter what. A very good starting point is 1/day ! Did i achieve this every day ? The answer is YES and NO ! 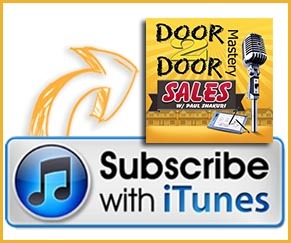 when i first got started, i was over optimistic thinking i would nail door to door sales. When i sold natural gas contracts and electricity door to door, i can honestly say there wasn’t a dewy i didn’t get a sale ! each sale was worth $50 – $100 ! I was writing 3 – 8 sales a day and life was great. Direct Energy was the company based out of Edmonton Alberta Canada. When i decided to switch to Home Security Sales for the largest Monitronics dealership Apex at the time, my initial start was where i learned the definition of frustration. I was told you can make a six figure income in 4 months if you were a top rep. Many people were doing this. I was the top sales person at everything i ever did ! It only meant it was next to impossible for me to not achieve this. Until then …. I went out my first day, expecting i would get 3-8 sales just like i would with direct energy. In a matter of minutes i got a phone call from my roommate saying “Paul, this is freaking amazing i got my first sale my first door” his name was Arlen ! I was impressed and said F&^k ya , I’m going to do amazing at this, it really does work. I set off on my quest pushing long and hard to get a sale, low and behold i ran into a lady who was in a rush, told her everything i knew at the time about the alarm, and got the sale ! it was a horrible pitch of a sale, but i fought through and got it ! So what got me the sale ? The thought of never giving up and pushing forward ! this is not the best tactic to use long term, however that coupled with the proper education like taught in my Mastery Program is how i was able to eventually move on to making a six figure income. Boy was it a bumpy ride. So now let me explain my frustrations and how i overcame them . When you go out there on a day to day basis your going to get rejected from time to time. Your also going to get people talking to you, engaging with you, but you not capitalizing on the situation scared to ask for the sale. Many things will come up that will cause you to be frustrated. This goes for people who are new, or experienced. The more experienced sales reps know that intra day if things aren’t going there way, they need to reflect back on all the sales they got, or all the doors and time left in the day. Depending on what time it is of the day, you have to treat that day as if the time clock is ticking down and each door is another opportunity. 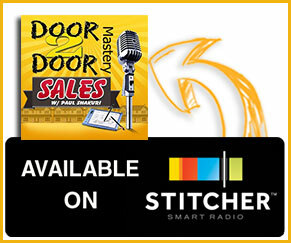 If you are not knocking on a door, then how do you expect to get a sale ? You cannot get a sale if you are not knocking on doors. I know sales people who are horrible at communication, however they have the work ethic of a professional horse racer ! they are determined that if they talk to enough people they will eventually close a sale. Trust me they do ! This is not what i teach, however the work ethic is, followed by the proper education and ability to get comfortable in those knocking shoes. Know that if you have just 1 to 2 hours of day light left and you haven’t gotten a sale, let frustration guide you into making you knock on that next door quicker than you were throughout the entire day. Weekly you need to be setting up how many sales you want ! factor your commissions and say if i were to get X sales that would mean my paycheck would be X dollars estimated. Why is this important ? because it helps keep your mind on track. 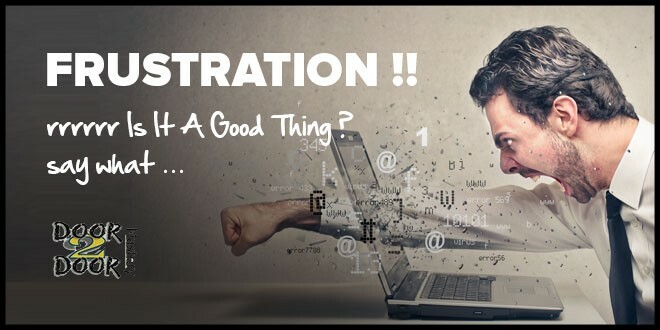 What can happen is your underperforming and the frustration tends to kick in. When i was managing and office of over 100 sales reps in one given room at one time, YES it was insane but we were hitting 50 to 60 sales in 1 day, i asked the team what were we going to commit to today ? they threw a number out which was something ridicules that YES me being the realist i knew we were not going to hit it, and as such i told them that. They looked at me and said Paul you have no faith in us !! As a leader you should believe in us ! I knew this was my perfect time to teach them a lesson ! So i said , sure , fine lets do this, i will put $5,000 up in a pot and if you guys hit that number i will spend that on the office ! Do you think they hit that ? No ! no where near, as a matter of fact we did worse than we had ever done in 5 years ! why was that ? Goals are not numbers you set based on how you feel ! Goals are realistic numbers you set based on past performance, education and ability to do whatever to hit that number ! I need you to understand how important this is because if you have certain expectations on how you should do but these expectations are ridiculous, your going to end up spinning your tires, getting frustrated and end up wanting to quit ! If your average is 5 sales a week, focus on 5 being your target goal weekly. Raise the bar Slowly. When you learn how to master, meaning there hasn’t been a week you got less than 5 sales in a few months, this means you can raise you bar because you mastered that level !